Staff members may, optionally, earn college credit following my on-site training! Credit is available through Brandman University a part of the Chapman University System. Both Chapman and Brandman Universities are regionally accredited by the Western Association of Schools and Colleges (WASC). Brandman BestStaff members attending my one-day classroom management seminar have the opportunity of earning up to THREE graduate level professional development credits. Credits are awarded upon completion of follow-up practicum projects and payment of an additional fee. College credit registration forms with Brandman University will be available at the conclusion of the training. In 2010, Chapman University established Brandman University to best meet the unique needs of working professionals and other non-traditional students. Brandman remains a non-profit institution part of the Chapman University System, and is accredited by the Western Association of Schools and Colleges. All Chapman University Extended Education courses are now offered through Brandman University due to the strong tie between professional development and the institution’s vision to be the leader in the evolution of adult education. You have SIX MONTHS to complete your follow-up practicum after the seminar. Educators have the opportunity to earn up to three graduate professional development credits for re-certification or salary advancement by attending my one-day on-site CLASSROOM MANAGEMENT presentation. For details and to download the Classroom Management Syllabus please CLICK HERE and follow the secure link. Similarly, educators have the opportunity to earn up to three graduate professional development credits for recertification or salary advancement by attending my one-day on-site DIFFERENTIATED INSTRUCTION presentation. For details and to download the Differentiated Instruction Syllabus please CLICK HERE and follow the secure link. Will my district or state accept Brandman University Credit? It is the responsibility of the individual participant to verify with his/her district or state prior to enrollment whether Brandman University credit will be acceptable or not. What kind of credit is it? The credit the participant will receive upon the successful completion of the follow-up practicum is graduate level professional development semester credit. These are professional development units that are not part of a degree program but instead are primarily used for professional advancement purposes such as salary increment steps and recertification. What is the equivalent to one semester credit in quarter credits? One semester credit equals 1.33 quarter credits. What is the cancellation/refund policy in regard to Brandman University credit? What is Brandman University’s accreditation? 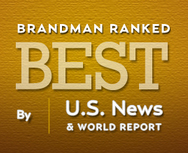 Brandman University, part of the Chapman University System, is accredited by, and is a member of, the Western Association of Schools and Colleges. Brandman University is also a member of the American Council on Education and the American Association of Colleges for Teachers. What are the requirements for receiving credit? The following information is found on the enrollment form presented at the training to those individuals enrolling in follow-up credit at the seminar. As follow-up to the seminar or conference session, the participant must develop at least three practical projects per credit based on the training presentation. The projects should be designed to be implemented in the participant’s program, i.e. worksheets, lesson plans, center activities, or plans for implementation of any topics presented. A three-page paper per credit is required based on the projects. This will be graded with a letter grade of A-C or No Pass. A detailed rubric and grading scale can be found at the Brandman University website. What are the grading criteria for the final project? At the time of enrollment, students will be provided with a listing of all requirements and grading criteria for the written project. The specific grading rubric used to assess the written projects can be found on our website. If I have additional questions, how can I contact Brandman University? Call the Office of Extended Education, 1 (949) 341-9857 or (800) 632-0094. I am completing my Brandman University course during my school vacation period/hiatus OR I do not have access to a class of students. How do I complete my project in light of the requirements for evaluating student learning, my own self-evaluation and the need to include documentation? Explain your situation on the title page. Describe the methods you intend to use for evaluating your students’ learning experience. For self-evaluation, comment on your strengths and weaknesses as pertaining to the implementation of the activities. Discuss what you expect to happen in terms of your own abilities. Documentation could include handouts, an example of the activity, charts for evaluation, lesson plans etc. How soon may I expect to receive confirmation from Brandman University after I’ve registered with them for course credit? You may expect to receive a mailed confirmation letter from Brandman University within 30 days of Brandman University’s receipt of your registration paperwork and fee. Your confirmation will also include the name and address of the specific reader assigned to evaluate your course project for mailing your completed project. How long do I have to complete the final project for the course? The project is due six months from the training start date. How do I submit my final project to Brandman University? The confirmation letter you receive from Brandman University will include the name and address of the specific reader assigned to evaluate your course project. Do NOT send your completed project directly to Brandman University. If you no longer have access to that information, please email Brandman University directly at k12@brandman.edu or phone at (949) 341-9857. How do I register for credit after attending a training? At the training: Complete the registration form and give it and your payment to the on-site presenter. Keep the upper portion of the form as it includes the instructions for your coursework. By mail: Within 30 days of the training date, mail 1) your completed Brandman University registration form (given to you by the on-site presenter), 2) a photocopy of the Certificate of Participation you received at the end of the training, and 3) your tuition payment. Checks are payable to Center For Teacher Effectiveness. If paying by credit card be sure to include on the registration form your full card number with expiration date, billing zip code, and 3-digit security code (four digit security code for American Express on front of card). MAIL to Time To Teach, 1900 Northwest Blvd Ste 106B, Coeur D Alene, ID 83814-2788. Be sure to submit your completed registration for to us before submitting coursework to the grader. By fax: Fax the information above with your credit card number to 800.704.2627. NOTE: Faxed registration forms should not exceed standard letter size (8.5 x 11). Can I receive credit from Brandman University and apply for state-sponsored CEU credit? No, participants may not receive two types of credit for the same activity.